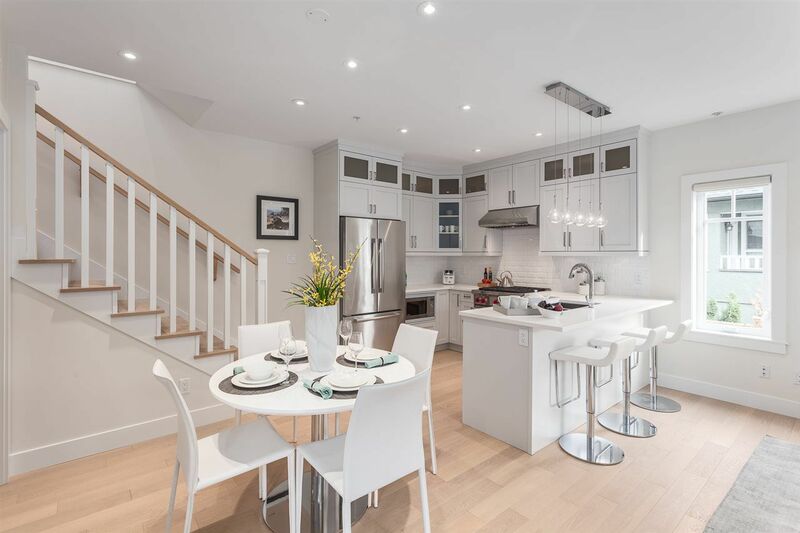 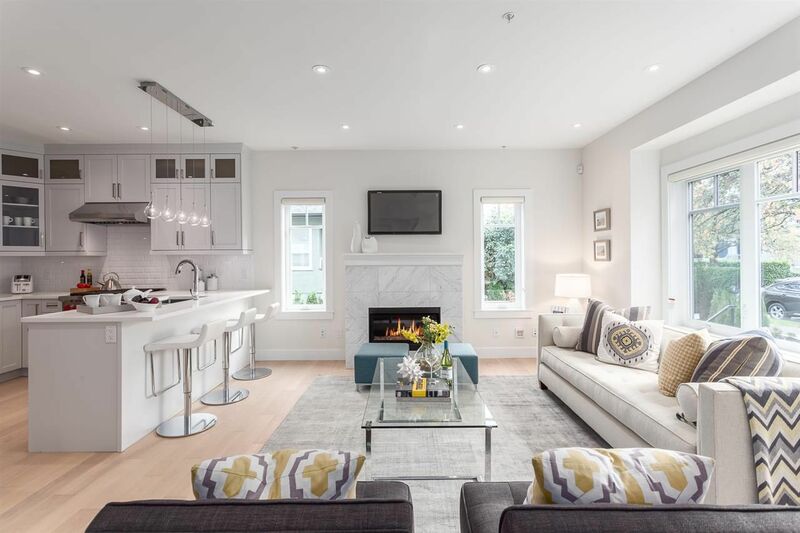 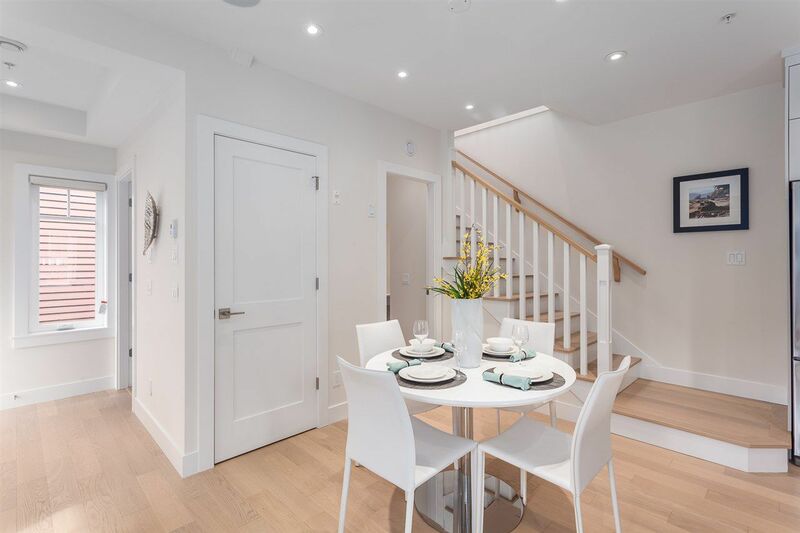 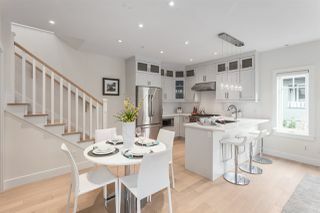 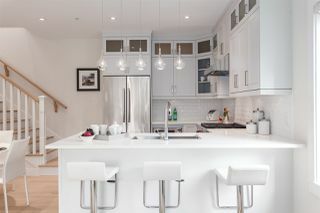 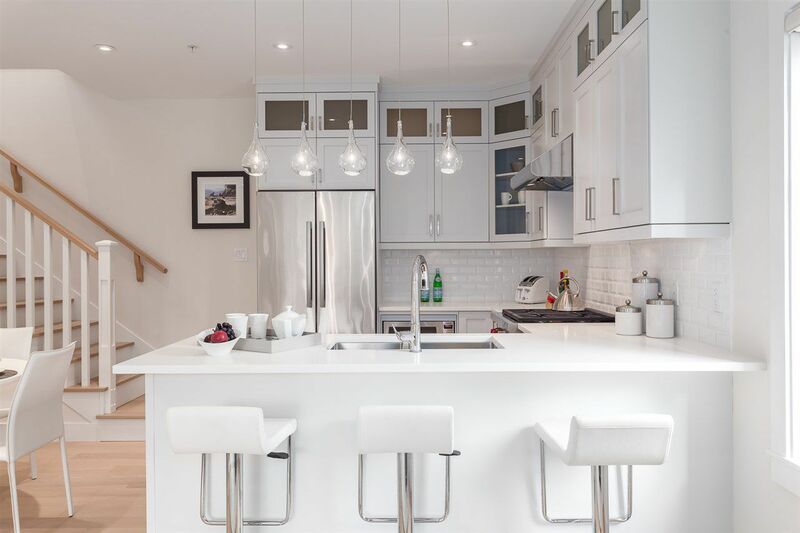 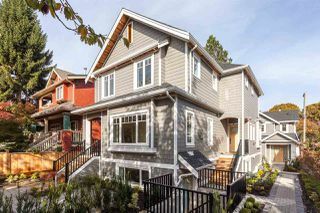 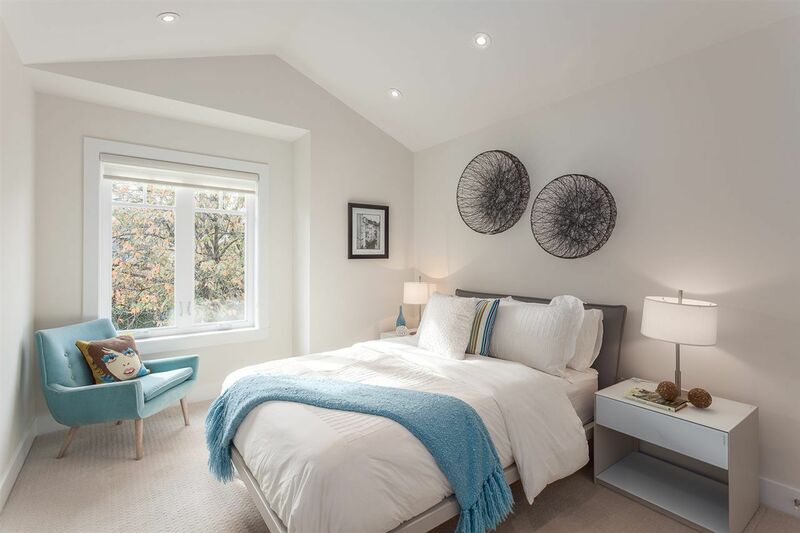 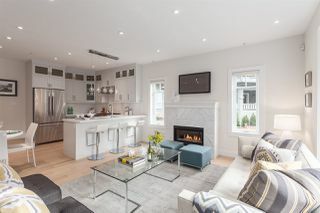 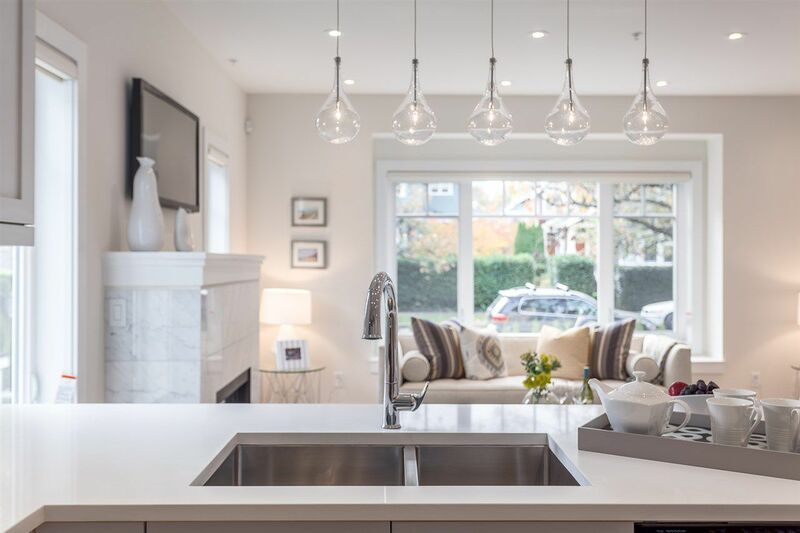 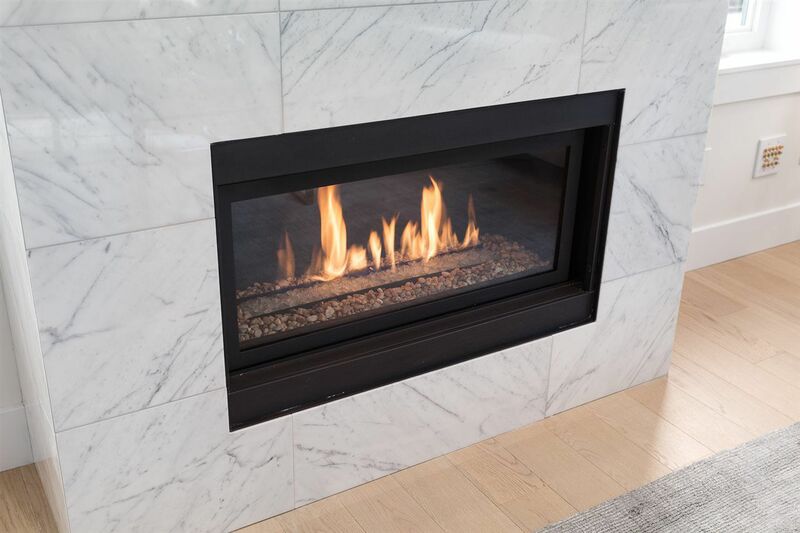 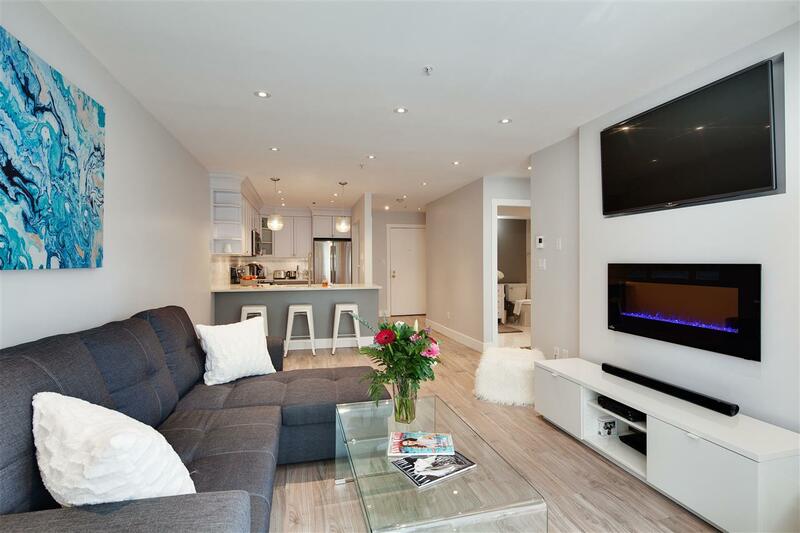 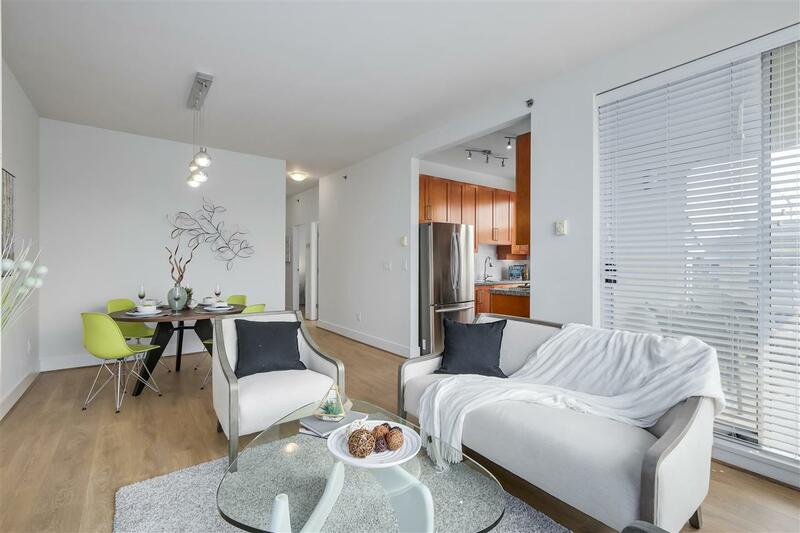 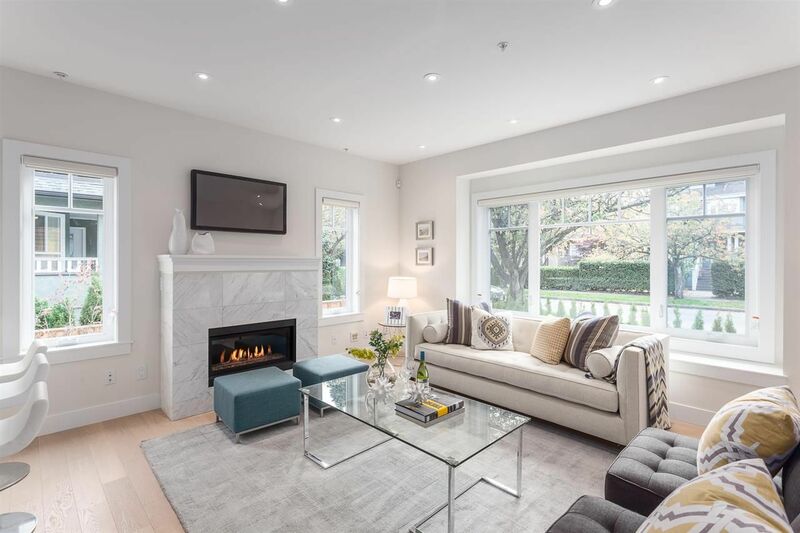 Welcome to Columbia Mews: a charming micro-community offering a selection of 4 new elegant townhomes on quiet West 14th Ave in coveted Mount Pleasant West. 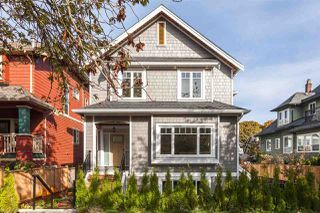 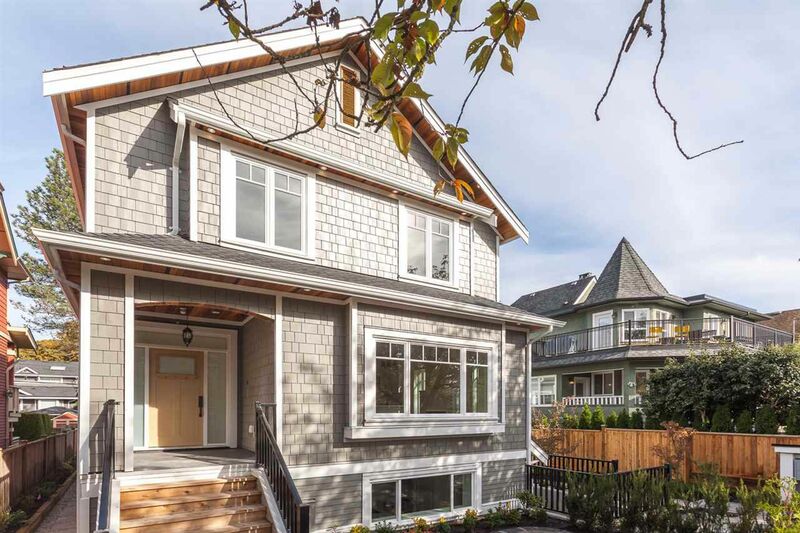 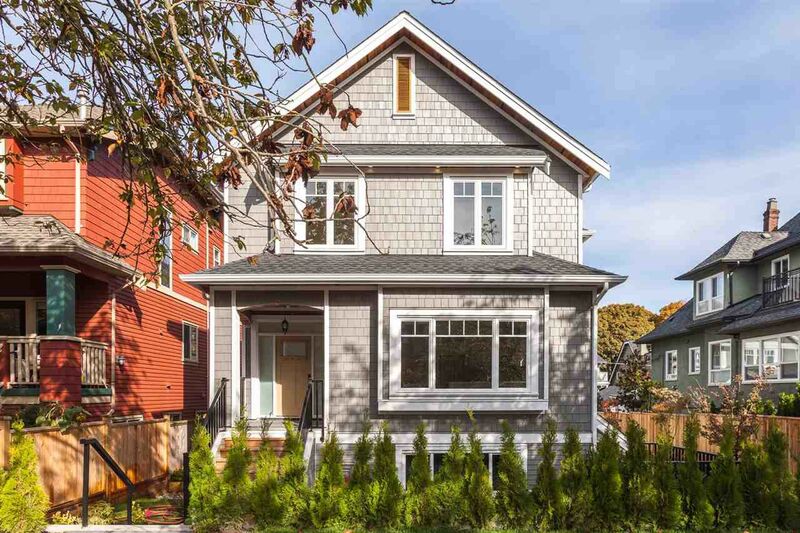 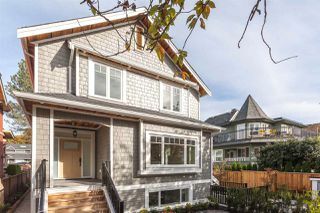 This south facing front unit has sun pouring in from a large bay window overlooking the charming tree-lined street. The covered front porch leads to airy open living space featuring white oak floors, 9’ ceilings, stylish gas fp & powder room. 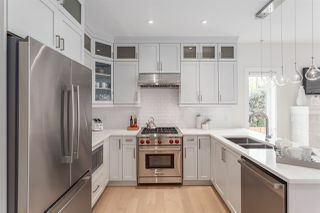 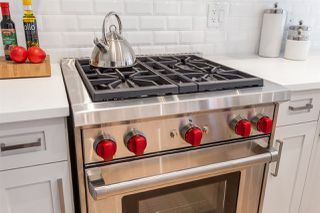 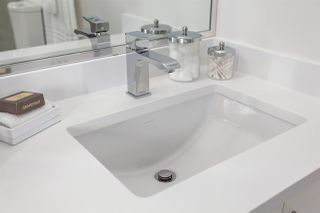 Open chef's kitchen boasts white quartz counters, breakfast bar, high end appliances incl Wolf range. 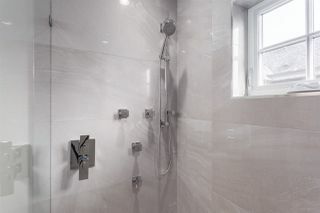 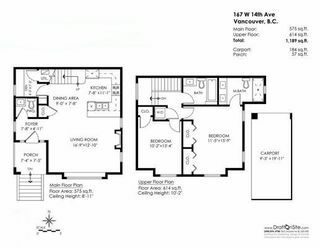 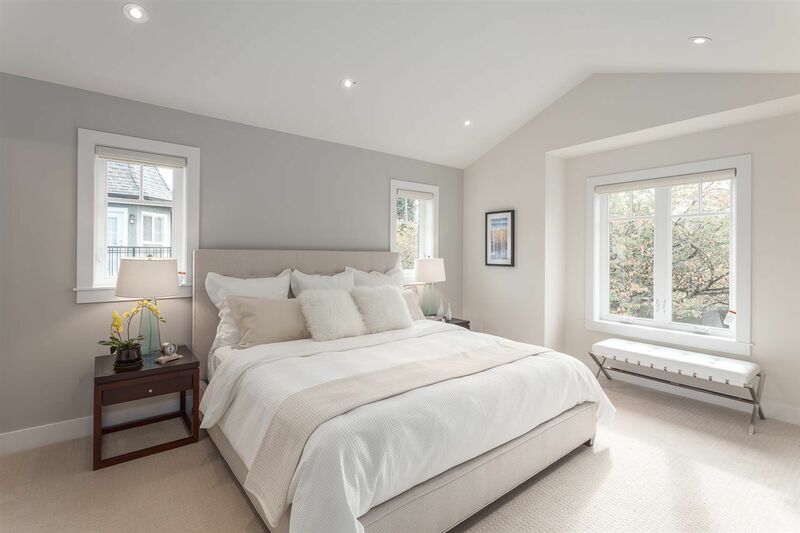 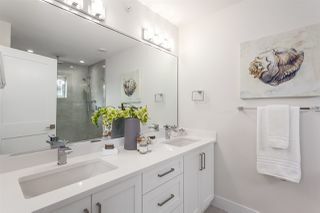 The upper level features dreamy master with vaulted ceilings, double closets, designer ensuite w/ double vanity & glass enclosed shower with body jets. 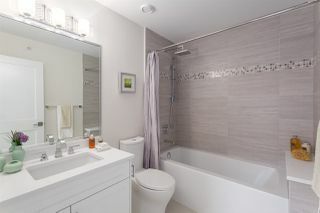 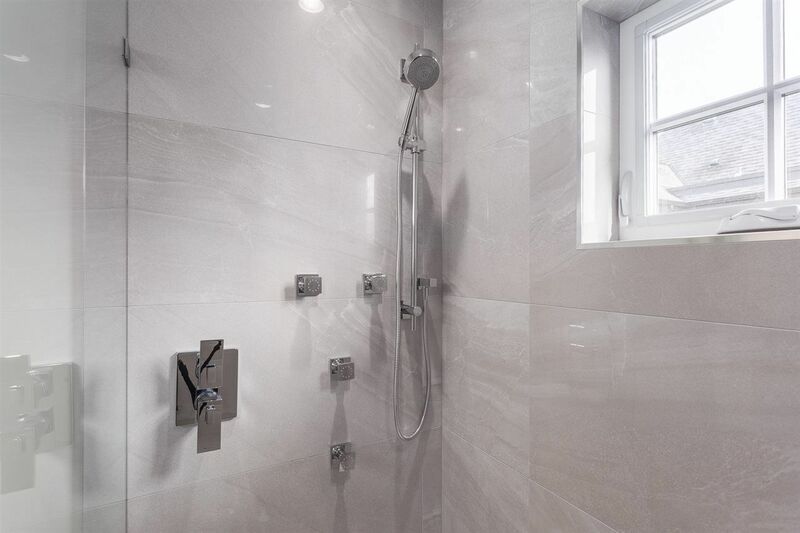 Large second bedroom, study nook and polished full bath complete this floor. 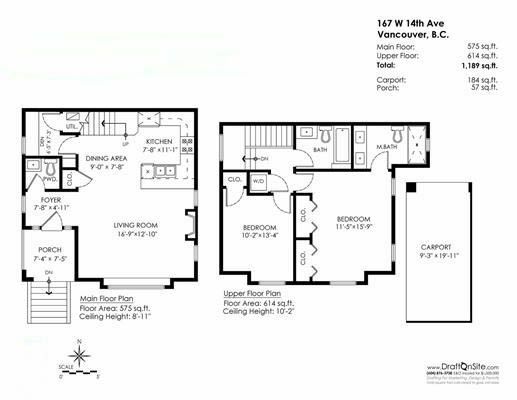 Comes with covered parking, secure bike storage & common room.